Discussion in 'EverQuest Items & Misc' started by Abyss, Nov 8, 2018. Looking to sell one of my EQ Memorabilia! 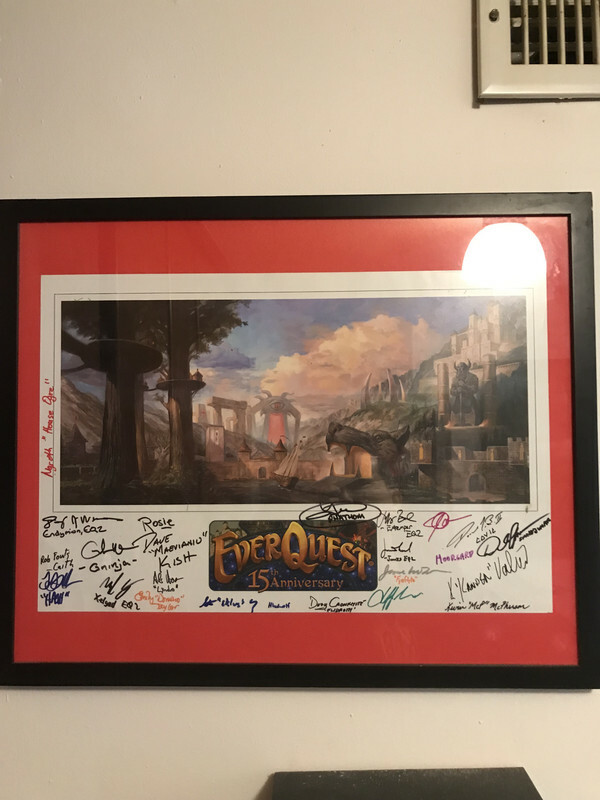 It was signed by every EQ Developer for EverQuest’s 15th Anniversary! Obviously you can no longer get this, and I am pretty sure almost all of these developers no longer work at DBG. Own a piece of history! whats something like this go for ? you got a price in mind ? Absolutely no idea, got it all signed way back at the last SoE Live fan faire in vegas, its been hanging on my wall since. If your interested though, just msg me a offer we can talk about it.